Elin Noble: Artist Talk July 24 / Exhibition Opening July 25. 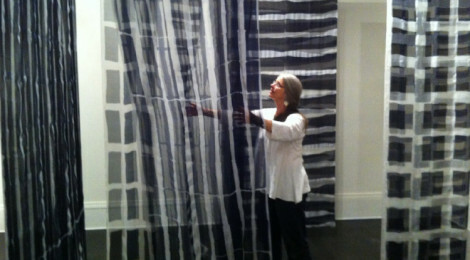 WSN Member, Elin Noble will be giving an artist’s talk on July 24th to mark the opening of her new show Vox Stellarum: An Installation of Silk Itajime Panels and Sculptures, at the Textile Center in Minneapolis, MN. Her show will be running July 25th-August 31, 2013. Visit the Textile Center online for more details. This entry was posted on 22 July 2013 by World Shibori Network.